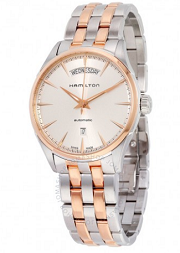 Shop big collection of authentic hamilton men automatic watches at low prices. Calendar, Luminous and water resistant are best features of this watch. 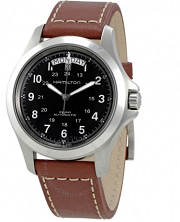 This watch comes wrapped in stainless steel case. Stainless steel bracelet with two tone silver and rose gold PVD is fixed. 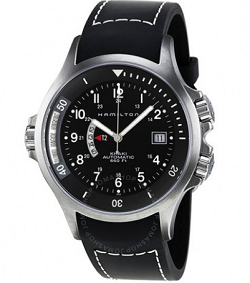 A analog dial watch shows day, date and time. Date display at the 6 o'clock position, Day of the week displayed at the 12 o' clock position.